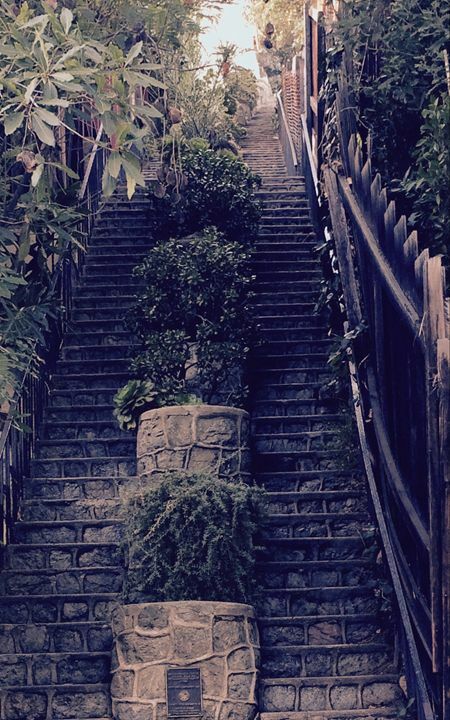 Walking up Beachwood Drive (thinking I would make it close enough to touch the Hollywood Sign), I got to meet this Staircase instead! I think it's an historical landmark as well. I work in Film and Television in Hollywood California, and when I have a moment, I like to take a few pictures. It is beautiful here and I love all the locations that my job takes me too. Sometimes I am here, local, shooting in a part of Hollywood, which is all so different every where you look. This year I was filming on location in the desert, way past Coachella, and the Salton Sea, for a post apocalyptic film, and I hope to put those shots up soon. Check out what I have so far from Hollywoodland, Silverlake, and WEHO.